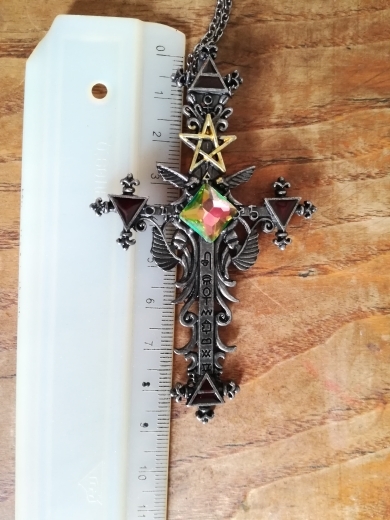 A Huge Stunning Antique Cross with Added Gothic Pentagram and Colorful Gem. 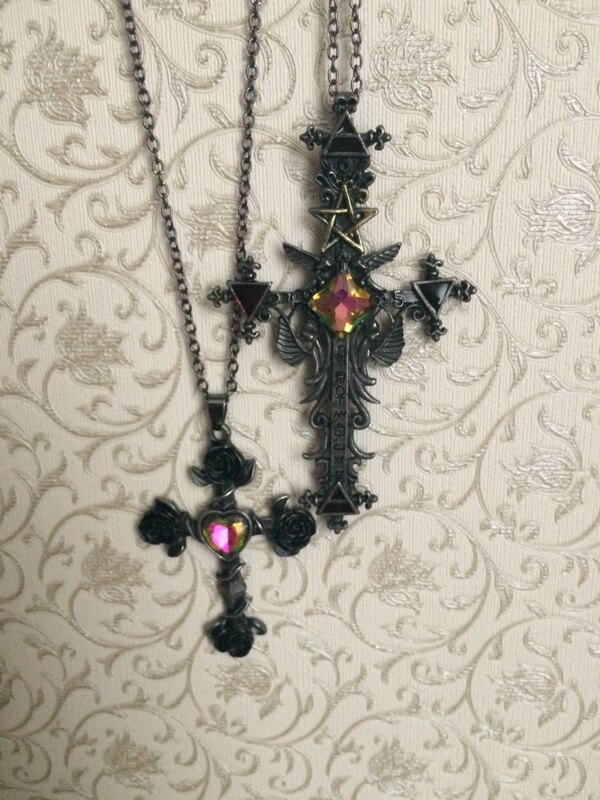 This cross is large but lightweight. 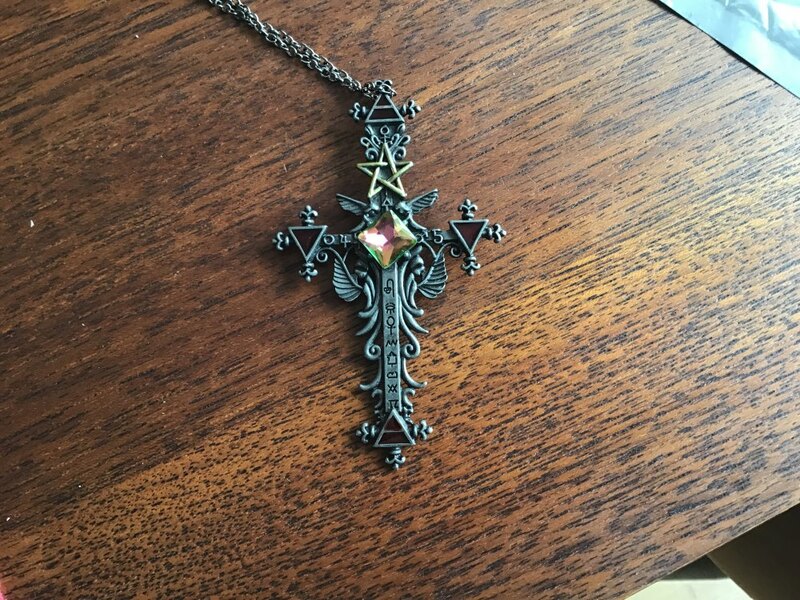 A unique addition to anyone’s jewelry collection or a great gift for friends or family! 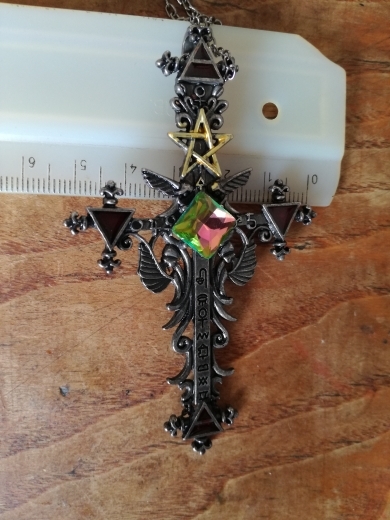 It's cool, but in one of the triangles paint beyond the border (the photo shows) and cross a little bent, but it's fixable. IN general, store recommend. Many thanks to him. 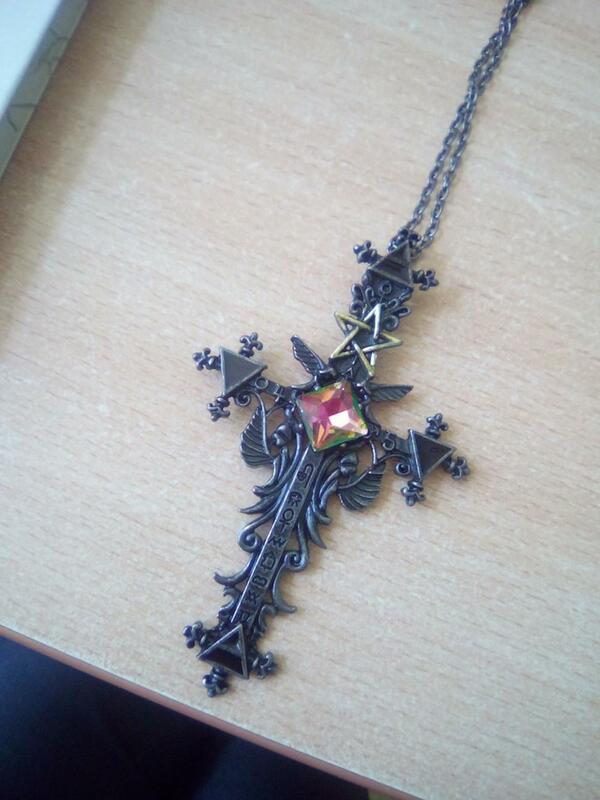 Really beautiful necklace! It has a lot of details. It' s bigger than i've expected. Thank You, store!